People with curiosity and an open mind know there’s strangeness in the sky – lights, fireballs, discs, triangles. Apparitions in the sky are recorded throughout history – since ancient myth – so no one should be surprised something is going on. But so many live under city lights, they rarely have opportunity to see the sky, let alone its rare surprises. Oddly enough, it’s the educated people trained to notice, observe, and find answers; the scientists, who are the primary deniers of unidentified flying objects. But their ignorance is no surprise. They only talk about things they can identify, and pretend the other things aren’t there. But now we get a hint at the truth. The U.S. Government now admits the Pentagon seriously studied the UFO phenomena from 2009 to 2012, based on sightings that were officially recorded, even on film. So it turns out the conspiracy theorists were right. The Government knows and has kept it secret, until now. Skeptics will say this doesn’t prove the existence of unidentified flying objects, but let’s be real. The Pentagon wasn’t chasing fairies. They had something they were studying, and some officials involved remain so convinced and committed to understanding the phenomena, they still take reports and do research voluntarily. You can read all about it in the New York Times, “Glowing Auras and ‘Black Money’: The Pentagon’s Mysterious UFO Program” and in Politico Magazine, “The Pentagon’s Secret Search for UFO’s”. The articles provide all the details about funding, the politicians, researchers, private enterprise and scientists involved. There is even film from an F-18 Navy fighter of an object that could not possibly be anything conventional. What the Government doesn’t say is what the damn things are. UFO’s remain mysterious as ever. The disclosure only confirms something is going on in the sky we don’t understand, but after millions of dollars and rigorous research, no one knows what. No little green men, no anti-gravity technology, at least none disclosed yet. Just a big fat question mark. An artist conception. Who knows what it really looks like. And in the midst of this disclosure, we also find these big long things flying through the Solar System. People think they’re space ships. And coupled with the Pentagon disclosure, it looks like we are being invaded. Depending on political bent, some people think either the aliens are anti-Trumpers come to save us, or they are Trump’s friends he called to drain the swamp. The UFO community is having a field day on YouTube. The usual suspects are handing out “I-told-you-so’s” and, I’m sure, gaining subscriptions to their channels. New books will be written, and Ancient Aliens will be rehashed again with a new audience. People will watch the sky, convinced more than ever we have alien visitors. But we don’t. At least, there is no evidence of alien visitors in these disclosures. It just confirms there is something going on in the sky we don’t understand. Before concluding we have visitors, and given that the nearest star system is an inaccessible 4 light years away, natural terrestrial causes need to be considered first. There is an explanation for most sightings of UFO’s, especially the kind this Pentagon study looked into. Gremlins have been reported by pilots since we first took to the air. Flying objects that appear solid, and move with purpose, performing maneuvers at speeds that appear to defy physics. Far more sightings occur than are reported, because we know pilots careers can be ruined by disclosure. Glowing objects and lights in the sky are all they are seeing. There are no defining features witnessed to confirm there is any form of life in them. What passes for evidence is a geometric form and apparently intelligent control. That may be enough to convince many people they must be either man-made, or alien. But Nature produces geometric forms that act under intelligent control, too. A thunderstorm is a good example. It takes a distinct form and produces predictable results. It’s all dictated by natural means, of course, but if you didn’t know anything about the mechanics of weather, it would appear those anvil topped clouds pounding the earth with lightning, wind and rain in predictable annual cycles were under intelligent control. Indeed, that is exactly what our ancestors thought. The same logic is at work with UFO’s. Patterned behaviors are witnessed, so it’s believed to be from intelligent control, or design, and can’t possibly be natural. We’ve been conditioned to believe Nature is random, yet in reality Nature is patterned in every way. We fool ourselves simply because we don’t comprehend. My posts are mostly dedicated to exploring the Electric Universe Theory. I’ve focused much of my attention this year on the electromagnetic structure of our environment and how it influences weather and geology. Articles in The Daily Plasma especially look into specific evidence for the influence of Earth’s geomagnetic field on the surface of the land and in the atmosphere. There is a connection that influences our lives everyday, yet we are nearly oblivious to it. It’s the circuit that flows in the geomagnetic field and electrically couples with the solid crust of the planet. This circuit is what causes most UFO’s. The objects people witness are electromagnetic phenomena. If you read the linked articles, it was pointed out that a concentration of these sighting are near nuclear power plants and nuclear powered ships. This is one obvious reason the Pentagon became involved at looking at UFO’s – they present a potential national security threat. But there is a reason they appear near power generation. They also appear near volcanoes and thunderstorms for the same reason. Power plants, thunderstorms and volcanoes are sources of radiation. The geomagnetic field in the atmosphere responds to what is on the surface of the Earth below it. Electric fields are feedback mechanisms. Electric fields move charged particles, and moving charged particles alter the electric field. It’s an ever dynamic system of shifting gradients that effects every particle in it’s influence. And it’s influence is everywhere. Invisible to us, yet influencing every atom that isn’t nailed down by an electrical bond with other atoms. And hence the gases in our atmosphere are motivated, creating density and temperature variations that cause the winds. The winds are connected to the weather, the weather is connected to the climate, the climate is connected to how we live, and so it goes. It’s all connected by a circuit and that’s the circle of life. UFO’s are just one little part of it that occurs when a bit of emf gets wrapped inside its own magnetic field and makes a ball of energy. I’ll admit I can’t explain how this happens. The physics of a plasmoid are still obscure. But that’s what people see when they see glowing objects and lights in the sky. Electric current wadded up into plasmoids, or plasmoid-like entities, where moving charged particles – a plasma – is wrapped in its own magnetic field creating a cellular structure. Plasmoids are simple to produce. Stick aluminum foil in a microwave and turn it on. The little balls of spinning energy that fly of the foil are plasmoids. This is microwave energy, melting a bit of aluminum and carrying it away. The same thing can happen when using an electric, or plasma welder. Bits of metal get charged by ionization and go spinning away, acting like they have a life of their own. What we don’t understand is how they can form stable entities. We can make plasmoids in the lab, but we can’t make them last more than a fraction of a second. How one becomes stable for several minutes is a mystery. But Nature can do a lot of things we don’t understand. Volcanoes produce all kinds of radiation. They are big spewers of heat, rock, sound and ionic matter. Electricity is produced in a variety of ways, from moving mass at tremendous velocities, temperature and pressure changes, piezoelectric effects from vibration and ground currents induced from these forces can escape into the atmosphere in a ball of ionic matter. Power plants also produce radiation from the massive high voltage transmission lines and substation switch gear. Leakage at electrical connections will even glow with plasma discharge if the system becomes unbalanced, insulation is damaged, or continuity in the wires is compromised. If a pulse of radiating energy gets bound with some matter, like dust, the plasmoid incorporates it into its structure. The plasmoid, mixed with matter, produces a cellular structure that will take a form. The form can be well organized, in a lens, cylinder or ball shape, if the electromagnetic field is well structured, or they can be somewhat amorphous clouds that even change shape. Swamp gas is a good example of an amorphous plasma entity. Clouds are another example. They are matter – water vapor in the atmosphere – bound in a double layer of electrical charge. Clouds are encapsulated partial plasmas, with negative charge on the lower interface, or bottom ‘surface’, and positive charge on top. Clouds are a diffuse form of electrical entity. The movement of a plasmoid obeys electric fields. The glowing plasmoid, with it’s internal electric field, will react to the ambient electric field in accordance with the push and pull of potential gradients. When an airplane enters the proximity of the object, it effects the electric field and the object’s motion will be effected too. Hence gremlins tend to track with the airplane until it meets a stronger field force that sends it shooting off in another direction. This is why they seem to be controlled intelligently. As far as the big long objects in space are concerned, EU Theory maintains that asteroids and comets are debris from a planetary cataclysm. 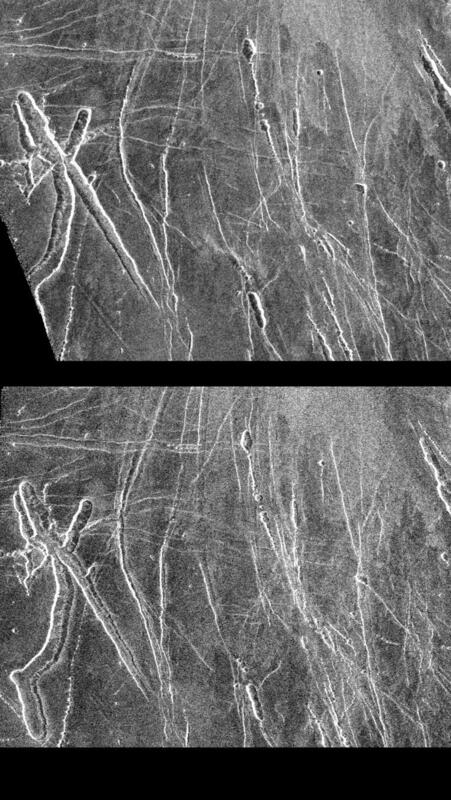 Finding long chunks of rock in the solar system is actually expected if you take EU seriously. The big puzzle is why they were never seen before now. It appears they are floating into the inner solar system from outside of the ecliptic plane where all the other planets and rocks are found. They could even be from outside the Solar System, and the velocity and trajectory of the first one seen, named Oumuomuo, seems to bear this out. It’s my opinion these are chunks of rock blasted from Mars, or another planet during a “Worlds in Collision” type scenario. If we could get a sample of one, I’d put money on a bet they match the surface rocks found on Mars near Valles Marinaris. I also think they were blasted to the edge of the Solar System where they have remained hidden from us until now. The reason they are floating into the inner system all the sudden, is because the Sun is going dark in a Maunder Minimum. The electrical balance of the Solar System is changing as a result, and these objects were pushed inward by the changing electric field in the heliosphere. I expect we will see an increase in comets and near earth objects in the years to come, just like the ancients reported when they went through cataclysmic changes during the Solar cycle. Of course there are objects witnessed in the sky that can’t be explained as electromagnetic phenomena. I have seen a triangular craft that made no sound as it flew over me. It was definitely a craft and definitely something that isn’t publicly known. But so what. The government isn’t giving us all of its secrets, yet. The marvelous, wondrous thing to behold in this story isn’t about UFO’s at all. It’s about the Government telling us the truth for a change. Something has changed for the better in Washington for the release this data to even happen. When has that ever happened before? First the release of the JFK files, and now the UFO files. I wonder if NASA has anything to share? Or the Forest Service. Re-posted courtesy of Thunderbolts.info. Unless otherwise captioned, all images courtesy of NASA, JPL and ESA. Science has puzzled over the moon more than any other body in space. It’s the only place mankind has walked, and brought back a ton of rocks, so we know a lot about it. Yet, some of it’s features puzzle science as much today, as the day they discovered it wasn’t made of cheese. The biggest question is, why are the near and far-sides so different. The moon is tidally locked to Earth, so presents one side to Earth at all times. The near-side is dominated by the smooth, dark maria that appear to be the result of enormous impacts that left seas of magma. 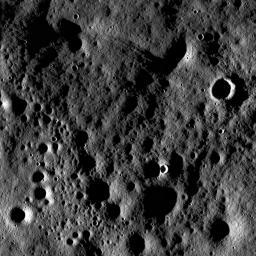 The far side, however, has little maria, and is pockmarked with many more craters. The near-side crust is only 60 km thick, overlain with 3 to 5 km of regolith – the pulverized concrete-like dust and rock of the lunar topsoil. The far-side is much thicker; so much so, it is believed to be the cause of a significant offset to the Moon’s center of mass. 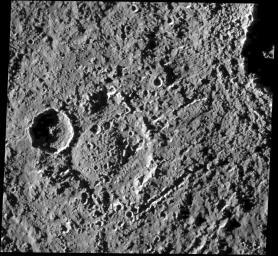 The far-side crust is 100 km thick, covered in 10 to 15 km of regolith, and so extensively carpeted with craters they often overlap. Also of note, the moon exhibits remanent magnetism that portrays the exact same pattern of antipodal contrast from the near, to far-side. The areas of highest contrast in crustal thickness and magnetism are skewed far to the north on the near-side, and far to the south on the far-side. They directly oppose each other. Standard theory has changed over the years attempting to explain the moon’s antipodal nature. At one time, theory was that Earth protected the earth facing side of the Moon from impact. That theory held until statistical analysis showed the tiny diameter of Earth, in relation to the orbiting Moon, could not have blocked more than 1 percent of incoming asteroids… hardly enough to notice, let alone explain the difference in crater density. Moon’s Eastern Hemisphere. Near-side on left. Current theory maintains the moon was created when a Mars-sized body collided with the Earth, dislodging debris that coalesced into the Moon in Earth’s orbit over 4.5 billion years ago. A period of heavy bombardment then left the majority of impact craters and a molten interior about 3.9 billion years ago. Volcanism subsequently filled the impact basins on the near-side with lava, through cracks in the thinner crust, to solidify into the maria around 3.2 billion years ago. The far-side, having a thicker crust, experienced far less lava flow, therefore, preserving it’s craters. Another popular theory proposes that, because Earth was a molten mass of rock at the time of the early bombardment, its infrared glow and tidal forces heated the near-side of the Moon sufficiently to delay it’s freezing into solid rock. 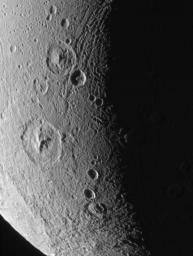 The far-side cooled much faster and preserved the craters left by the early bombardment. Each of these theories attempts to explain the difference in crater density using gravity, but fails to address why the far-side crust is thicker in the first place. A gravity model would predict the center of the moon’s mass should face Earth. Some have speculated the moon got turned around between bombardment and the end of lunar volcanism, but no mechanism has been accepted that would cause that to occur. The EU community also has theories to explain the Moon’s dichotomies. The approach it uses starts by asking more questions to get perspective on the problem – some of these questions seem to be ignored in the mainstream community. First, the density of cratering on near and far-sides is not nearly as curious as the crater density at the poles. The following slides show the north and south poles, and the near and far-sides for comparison. Not only are the poles more heavily cratered, some see a hint of swirling pattern at the north pole. There is little to acknowledge these anomalies even exist in standard theories, let alone explain them. The practice is to work ad hoc theories for one thing at a time, and apparently they haven’t gotten around to these, being still stuck on the first problems. Another way to progress, is to look at a more holistic picture. For instance, how do other planets and moons look. Mars, for example, also has spiral features at the poles, as highlighted by the polar ice caps on the north pole (right) and the south (left). Although the swirl is evident in the ice, it is a feature deeply sculpted in the underlying rock. A look at Mars’ crustal thickness and crater density also shows similarities. Crater density is antipodal, too, as seen alternating from smooth to cratered hemispheres in these four views of Mars. Crustal density and remanent magnetism on Mars also follow the same patterns. It’s also apparent the remanent magnetism matches the dark, swirling deposits in the southern hemisphere, similar to how the moon’s magnetism matches it’s surface features. Like the Moon, the antipodal features of Mars are in direct opposition. Although there is less data to go on, other planets and moons show similar traits. The following slides show Mercury, Callisto, Enceladus, Tritan and Pluto, all of which have one side smooth and one side with heavily cratered highlands. The demarcation is often stark, as exemplified in the photo below of a crater trail crossing boundaries on Ganymede. A scientific approach should attempt to address these similarities in a holistic fashion, looking for commonality of cause and effect. Running a crater stop sign on Ganymede. Planetary scientists apparently don’t do this. The standard methodology is to explain any anomaly by conjuring a large body of mass to put some catalytic gravity into the explanation. The antipodal crustal thickness on Mars is, according to current standard theory, the result of an oblique impact that blasted away crust from the northern hemisphere early in Mars’ history. Because the impact struck Mars a glancing blow, the whole crust didn’t melt leaving the northern crust thinner than the southern crust. But the impact theories still leave geophysicists with the problem of explaining why both the Moon and Mars are magnetized on only one hemisphere. According to the most recent theory, the remanent magnetism is the result of past dynamo current from molten interiors. Neither the Moon, or Mars have an active core dynamo today. On the moon, the dynamo theory is based on a circulating molten core after the Moon’s formation. It left a magnetic imprint that was subsequently wiped away on one hemisphere, when it re-melted after the heavy bombardment. Unfortunately, the age of the magnetized rock implies that the lunar dynamo had to still be going some 3.7 billion years ago, about 800 million years after the moon’s formation. That is longer than expected for natural circulation to cool the molten interior. 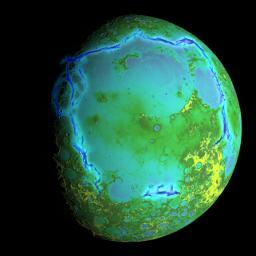 The moon’s small core should have cooled off within a few hundred million years. So now, more gravitational forces are being looked for to have kept the dynamo going. 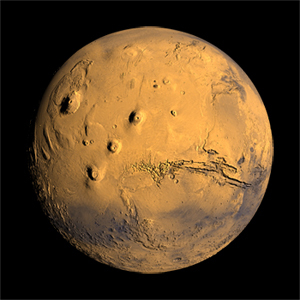 In the case of Mars, it’s never been understood why Mars’ northern hemisphere has virtually no magnetic field. Evidence suggests that the effect is an ancient feature that should have formed before the dynamo shut down, and well after the assumed impact event, so it should be magnetized. Several ad hoc theories have been considered. Maybe the north lost its magnetism in the presence of water, or maybe there were impacts after the dynamo shut down that wiped out the north’s magnetism. Most recently, a theory proposes that impacts created differential temperatures, allowing a single-hemisphere dynamo to form that magnetized only the southern half of the planet. Electric Universe submits that the evidence shows all of these planets and moons experienced severe electrical discharges from close contact with neighboring moons and planets during their creation, or when the solar system’s orbital dynamics were different. The polar regions experienced cyclonic current events, similar to the polar aurora we have on Earth – but many orders of magnitude more energetic – from a disimilarly charged body in proximity. The cratering and swirls are the result of electrical discharge and cathodic erosion at one pole, etching away the surface. The opposite pole experienced electrical discharge with anodic accumulation of material, forming a dome, drawing in matter from the nearby planet, as well as sweeping-in dust from the eroding pole. As the current between bodies built at the poles, it coursed across the surface and through the interior, seeking conductive channels to short-circuit. Ionized dust created a thick plasma atmosphere, and flash-overs occurred, coursing across the mid-latitudes, scarring the face of the planet. We see the same effect today on a far more subtle scale here on Earth – the polar aurora is where solar current streams in, and the continuous belt of thunderstorms across the equatorial latitudes are where charge differentials build and discharge in violent lightning. Our climate, seismic and volcanic effects wax and wane with the solar current. Natural electromagnetic forces in arcing current sheets differentiate charge potentials, eroding one hemisphere cathodically, while anodically depositing magnetized material on the other. It sorts material and preferentially deposits it in the kind of bewildering array that is actually seen correlating to these features. These energetic currents built mountains, raised volcanic blisters and tornadic electrical winds; melted bedrock and left craters, lava flows, rilles and canyons – the scars of tremendous thunderbolts. Dust and debris that blanketed one hemisphere trapped gases that burst through the layers of dust, adding simple craters and cones to an already bewildering array of lightning scars and impacts from falling debris. These processes continue even today. Mercury, Mars, the Moon, comets and even distant asteroids like Ceres exhibit ongoing electrical etching, spurts of glowing discharge and tails of ionic material in response to the solar current. The evidence is not only in these macro features, but at every level of detail we can look. Here are several examples of anomalous planetary features that EU theory can explain, without tripping into contradictions, or stretching the probabilities, the physics, or the imagination. EU theorists have much work remaining to understand the physics of solar system formation, its temporal context and the orbital dynamics that caused events resulting in the types of morphology we see. It is understanding cause and effect that comes first. Building models and equations to better define first causes is the devil in the detail we still seek. Because EU theory is a holistic approach, there is more evidence to rely on. Events of electrical planetary exchange is recorded in the history of mankind. Witnessed events of Mars and Venus in an electromagnetic embrace, and the consequences here on Earth, are recorded in the mythology that is collectively referred to as Thunderbolts of the Gods. Dave Talbott explains this aspect of EU theory in the series, Discourses on an Alien Sky. Antipodal is a consistent theme in planet morphology for all of the rocky planets and moons. It’s because of the inherent dipolar nature of electromagnetism, from the subatomic scale to the cosmic, that it produces forces so immense. It creates not only planets and moons, but stars, galaxies and the entire Electric Universe. Big Bang cosmology has it’s challenges – it also has it’s challengers. The EU community is a challenger to the standard gravitational model, believing space-time to be a misinterpretation of the Universe. 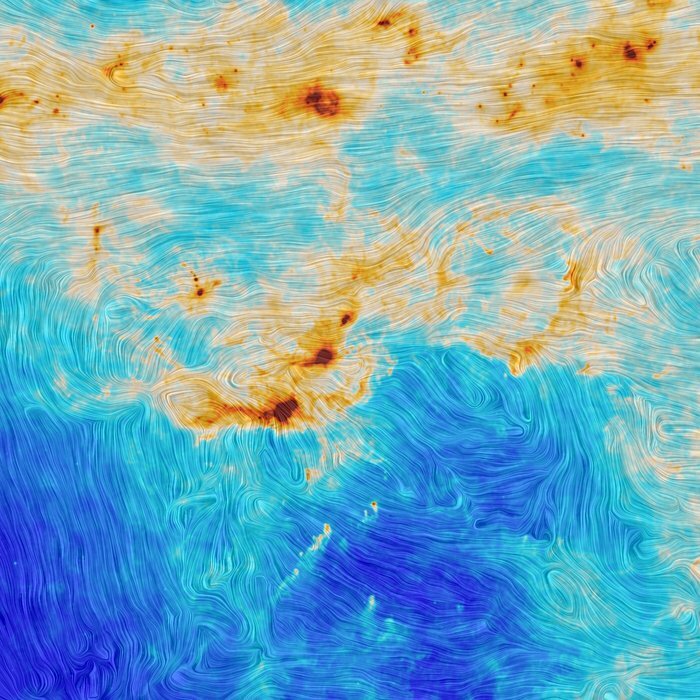 The things we see in the Universe – from large scale filamentary structures connecting galactic clusters, to Earth’s climate and meteorology – are plasma phenomena driven by electromagnetic forces. In fact, as discussed by Wal Thornhill in his EU2015 conference presentation, “The Long Path to Understanding Gravity” , even gravity can be seen as a manifestation of electromagnetic forces. EU Theory is not the only challenger to standard gravity theories, however. Many gravity-based theories also challenge the mainstream from within their community. It is unfortunate we have a separation of communities at all, since it is scientific progress that suffers. Nevertheless, alternative ideas still abound and the theories often comport more with EU Theory than with their parent gravitational model. The paper asserts that the theory behind gravitational lensing – one of the evidentiary “proofs” of General Relativity – is wrong, and that the lensing effect is caused by refraction through the “atmospheres” of stars and galaxies. The paper also presents the mathematical basis for refraction, and shows refraction closely predicts the same lensing effect as attributed to gravity. It is a plausible theory based on the presence of plasma atmospheres that we know pervade stellar and galactic formations at every scale. The paper shows that a stellar, or galactic atmosphere will bend light, just as it is refracted by crystal, or water as the light passes from low density medium to a higher density medium. It is the kind of simple answer based on classical physics and the known behavior of electromagnetism that EU Theory rigorously requires, unlike the General Relativity concepts that require magical unseen mass and energy. The idea that refraction causes the lensing effect traditionally attributed to Relativity has also been proposed by Dr. Edward Dowdye, Jr., a physicist and laser optics engineer formerly with the NASA Goddard Space Flight Center. Dr. Dowdye derived the mathematical solution for lensing using refraction instead of gravity, as he presented at the EU2012 conference. The standard model theory predicts a massive black hole at the galactic center. Astronomers have observed stars in fast elliptical orbits around the galactic center for over a year, some having completed entire orbits. Although the stellar orbits are cited as indirect evidence of a black hole, and the validity of General Relativity, they do not exhibit the predicted optical distortion to indicate gravitational lensing. Another test is to look for chromatic aberration in the light bent through refraction. Diffraction is a natural consequence of refractive lensing, spreading the colors, as in a prism. General Relativity predicts no diffraction with gravitational lensing, since gravity warped space-time should bend all wavelengths equally. General Relativity theorists suggests the lack of diffraction in lensing is evidence their theory is correct. Yet Einstein Rings are blue. An Einstein Ring is a special case of lensing when the focal point of distant light is directed at the observer to create a ring of light around the intervening galaxy. The blue color is an indication of diffraction. Predictably, instead of looking at classical physics for answers, General Relativity theorists are developing ad-hoc theories to explain how light is diffracted by gravity to make the Einstein Rings blue. At the same time, of course, they maintain no diffraction as evidence lensing is gravitational, and not refractive. How contradictory. But that is what happens when a theory relies on math instead of observation. Dr. Gupta asserts we don’t know the refractive index, or the density of the matter light passes through, so may not be measuring the small diffusion that results in all cases. Let’s hope Dr. Gupta gets the attention he deserves to test his theory. The long held assumption of General Relativity, that the speed of light, c is constant, is also challenged by his theory, as is the cause of gravitational red/blue shift in light witnessed from distant galaxies. These ideas are also predicated on refraction, because the energy of light is not changed by refraction. Where E is the quantum energy of light, h is the Planck constant and ν is the frequency of light. Frequency ν is expressed in terms of the speed of light c, as ν = c/λ, where λ is the wavelength of light. General Relativity assumes c to be constant, and red/blue shifts occurs because light gains gravitational energy from a body as it passes through its gravitational influence (E goes up). With c constant, and the total energy of the light rising, the wavelength of light must go down (blue shift). Conversely, the energy is reduced as light escapes a gravitational field and the wavelength goes up (red shift). Wavelength varies inversely with frequency if c is constant, because ν = c/λ. What this paper postulates, is that no energy is gained from gravitational forces by a mass-less light wave. So E remains constant, and no change in frequency occurs; and E = hν stays constant as light passes a massive body in space. That’s an easy concept to grasp. General Relativity does not like to use such simple and classical explanations. It requires mind-bending concepts of things we can’t see, or explain – like gravitational distortions in space-time. EU Theory can agree with refraction as a cause for lensing. It suggests, however, that the “atmosphere” for refraction is the classic ether of James Clerk Maxwell’s field theory, as derived by Oliver Heaviside. As Wal Thornhill explains in “Towards a Real Cosmology in the 21st Century”, the Electric Universe theorizes neutrinos form the ether and provide the mechanical substrate of the universe. Neutrinos have mass, albeit infinitesimally small, and envelop stars and galaxies in a density gradient which causes refractive lensing. At the time Einstein developed the theory of General Relativity, the pervasiveness of plasma was not known, nor had neutrinos been observed. It was thought there was no medium to cause refraction in the vacuum of space. Now, we know about the electromagnetic plasma environments of stars and galaxies. We know neutrinos pervade space. It is inconceivable, in accordance with the classic physics of light and optics, that light passing through a medium does not experience refraction. 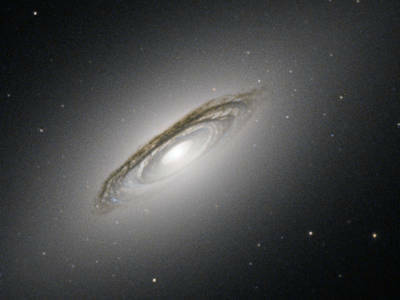 Gravitational lensing is used to study the presence of “dark matter” in galactic clusters. If refraction is the actual cause of lensing, a major assumption driving the dark matter search would be swept away. Critics suggest it is because of such assumptions, that after decades of searching, dark matter remains dark – because it does not exist. This issue matters to all of us, as pointed out by John Moffat, an eminent doubter of dark matter and the concept of a constant speed of light, within the mainstream community. The search for dark matter is more than 80 years old. The presence of all the known, observable, detectable, normal matter — the stuff in the standard model — cannot account for the gravitation “observed” according to General Relativity. Despite abject failure to find dark matter, General Relativity theorists are convinced it is out there. If the gravitational model theorists would consider the neutrino as the normal matter that pervades space and provides the structure for field theory to act upon, and that charge separation is the driving force shaping our Universe – they might explain the things they keep scratching their heads over without the invention of stuff that is not known, observable, detectable, normal matter. Likewise, a listen to Dr. Gupta’s refraction theories might lead to successful experiments that would enlighten our understanding of the Electric Universe, as well. Rarely is any phenomena the result of any one thing. Lensing is an optical phenomena that can be arrived at from many different angles – no pun intended. That one can derive it’s effect with an equation based on the gravity of a body light passes, per General Relativity, or through the known optical effect of refraction through changing densities of the medium it passes through, whether that medium is an atmosphere of ionic material, or an ether of neutrinos, points to the fact that we are missing something at the fundamental level in the relationships of gravity, mass and matter. It also points to the maleability of mathematics to describe anything – even dark matter, black holes and square pegs in round holes. Nada is Spanish for nothing. It’s also the number of gravitational waves found after an eleven year study, as reported by Australia’s Commonwealth Scientific and Industrial Research Organization (CSIRO) and the International Centre for Radio Astronomy Research (ICRAR ) this week in the journal Science. The study, led by Dr. Ryan Shannon of ICRAR, and conducted with CSIRO’s Parkes telescope, was designed to monitor radio waves from millisecond pulsars and record the arrival time to an accuracy of ten billionths of a second. By doing so, they expected to detect gravitational waves generated by colliding galaxies. 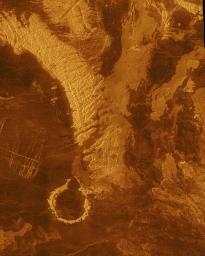 Image credit NASA. Pay no attention to the Black Hole hiding in there. According to Big Bang cosmology, and the General Theory of Relativity, super massive black holes inhabit the core of spiral galaxies. Colliding galaxies should produce gravitational waves as the black holes merge. Gravitational waves rippling across the universe should then compress space-time between the earth and the pulsar by approximately ten meters, delaying the pulsar signal a few billionths of a second…or so the story goes. Researchers on the team are optimistic, speculating the gravitational waves may be at higher frequencies than they anticipated, in spite of theoretical predictions. Or the energy was absorbed by intervening dust. That is very elegant face-saving after eleven years searching without luck – the dust ate my gravity wave. The General Theory of Relativity predicts gravitational waves, yet they have never been detected. They are one of several, as yet, undetected entities posed by Big Bang cosmology. There is another study underway by the Advanced Laser Interferometer Gravitational-Wave Observatory (LIGO) to detect higher frequency gravitational waves thought to be generated by colliding neutron stars. This work has just begun, so will not yield results for some time. Another gravitational wave dedicated project called the Square Kilometer Array telescope, is planned for construction in 2018. Let’s not hold our breath. While those scientists spend their lives looking for black holes and gravitational waves, let’s review what this all means in an Electric Universe. Absolutely nothing, except a huge and needless expense. Electric Universe does not recognize General Relativity as anything more than a concept unhinged from reality. It is like a topographical map one uses to describe the shape of a mountain. It may seem to describe the shape, but it tells you nothing about where the mountain is, what lives on it, what it’s made of, or how it got there. The General Theory of Relativity cannot even explain what gravity is. The theory is predicated on the notion that time is a scalar dimension, but how likely is this exotic guess? Time is not a “fourth dimension” to be added to the three spacial dimensions we experience. We cannot revisit the past, or zoom to the future in a souped-up Delorean. Some people assume General Relativity and the Big Bang have been proven just because well publicized news releases say it is so. But science is only “proven” when a theory predicts an outcome that can be detected reliably and repeatedly, and alternative explanations have failed, or simply do not exist. Nothing General Relativity predicts meets those criteria. Critics say the claimed successes of the theory can be explained by simpler means. The “discoveries” reported, such as super massive black holes at the center of galaxies, are not based on direct observation. Their existence is predicated on mathematics, but the math is that of General Relativity (circular reasoning), and the theory itself is contradicted by nuclear physics and quantum mechanics. Image credit NASA. Do you see Waldo – I mean dark matter? 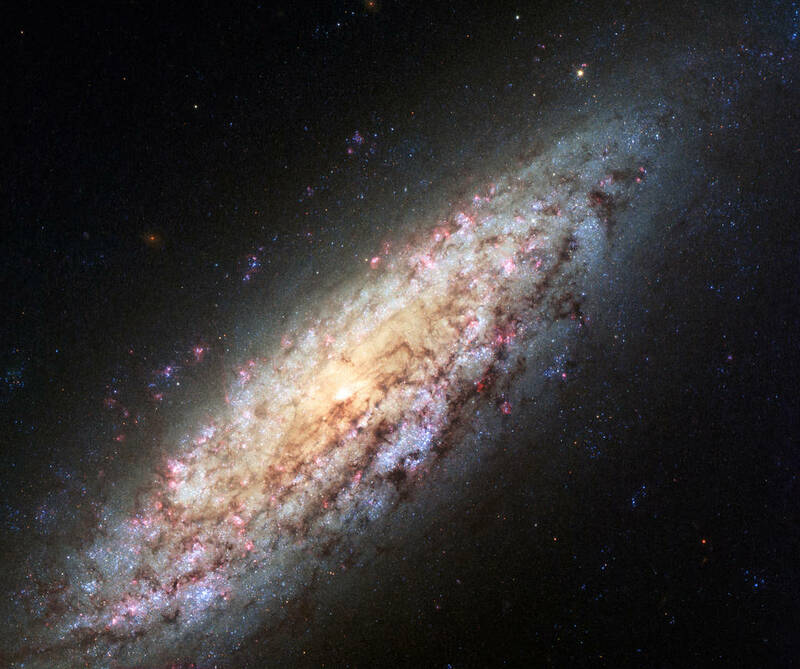 General Relativity predicts a galaxy’s mass is largely constituted of “dark matter” that surrounds it, yet dark matter has never been detected in any galaxy. It is only assumed to exist. Likewise, the theory predicts that “dark energy” expands our universe, yet dark energy has never been detected. That is not a small issue, since we live in an age of super-sophisticated instruments. If the stuff is powerful enough to expand the entire universe, we should be awash in it. But no one knows how, or where to find it. It is just assumed to be there. In fact, Big Bang theory predicts that we can only detect 4% of the universe – the other 96% is undetectable dark energy, dark matter and black holes. This self admission of Big Bang cosmology is telling. Typically, when people insist they know of cosmic entities no one can see, or even comprehend, we call it faith-based religion, not science. Cosmologists have taken the practice of prophets, and declared it science. Perhaps ‘prophet’ should be spelled ‘profit’ given the money cosmologists spend to look for invisible things. Cosmologists need funding to build detectors for the undetectable things they insist are there, but can never find. It is a multi-billion dollar gravy-train that never ends, funded by duped politicians who dupe us into paying the bill. Courtesy of NASA. Plasma at work in an Electric Universe. The Electric Universe makes no predictions of undetectable forces, or entities, or Gods. It explains the things we see exactly as they are, which is plasma under the influence of an energy we understand and detect – electromagnetism. This is not an issue even disputed – the universe we see is plasma. The stars, like our sun, are energized balls of plasma. So are the galaxies the stars reside in and the filaments that connect the galaxies. It’s as if a herd of elephants walked in the room and cosmologists didn’t notice, expecting a unicorn instead. Electric Universe sees the elephants. All one needs is curiosity and common sense to comprehend the universe described by EU. Electric Universe explains precisely those things we actually see in the cosmos with known physics, and it predicts nothing magically strange and undetectable. General Relativity is a failed theory. We need to move-on and pursue scientific inquiries that lead to more than science fiction. We need answers, which EU Theory proves time and again to provide. For an overview of why General Relativity is lacking the explanations the Electric Universe can explain, see “Does Gravity Alone Rule the Cosmos,” with Physicist Eugene Bagashov. To understand why General Relativity doesn’t “add up”, watch this video, “Failures of Big Bang Cosmology,” by mathematician Stephen J. Crothers. To get a comprehensive view of the role of electricity in space see, “Filamentary Networks of Electric Current Pervade Space,” presented by Donald Scott. In conclusion, there is nothing to fear about knowing. The only demon to vanquish is ignorance. CP theory – EU theory assumes a steady state universe not dependent on assumptions of isotropic, homogeneous creation-from-nothing, as described by Big Bang. At whatever size and distance, plasma phenomena are scalable to accommodate. For a comprehensive description of large-scale phenomena and Birkeland currents, see Donald Scott present “Modeling Birkeland Currents, Parts 1 and 2,” in his 2015 EU Workshop. The findings should stimulate lively discussion in the EU Community. This is certainly evidence in its favor. Please make your thoughts known by giving feedback to Thunderbolts.info. Craters – Impact or Electric – Hard To Tell. Did Van Gogh paint this? This image shows electromagnetic forces in the Orion Nebula. 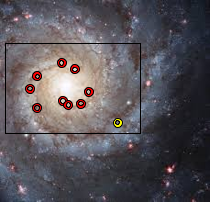 The dark red areas indicate high energy in the star forming regions. It’s hard to believe, but mainstream science still does not acknowledge these forces have anything to do with making stars or planets. It’s all gravity to them. That leaves planetary scientists with some hard questions to deal with. Every planet they fly past shows features they struggle to explain. Let’s examine some of them to understand the problem. The standard theory says there was a period of crazy pinball during the solar system’s history when the planets and moons were bombed with asteroids. According to physics 101, asteroids had to slam into the planets and moons from all angles, with an average impact angle around 45 degrees. But look – the craters all seem to be symmetric, like the asteroids came straight down. In fact, it’s hard to find a crater in the entire solar system that looks like it hit at an oblique angle. It’s as if every meteorite hit a bull’s eye. This may seem odd, but a high-energy impact will generally form a circular crater at almost any angle due to shock waves. In fact, the crater is typically on the order of ten times the diameter of the meteor, so the shape of the crater is almost wholly a relic of the shock waves. The meteor itself may only penetrate as far as its diameter before it shatters and much of it is vaporized by the shock of the impact. I sometimes see ‘circular-direct hit improbability’ claimed as evidence for electrical discharge formed craters in support of EU Theory. On this point it would be wrong. It is well established even in laboratory tests that impact shock waves produces a circular form, as well as many other features that can also be formed by electrical discharge. The differences are subtle. Let’s take a look at the current understanding of the morphology of an impact crater. Impact craters are primarily excavated by shock waves created in the enormous impact as the waves rebound from the deeper substrate and interact with the free surface. Essentially, the planetary surface is spauled by the shock waves. Craters are classified as simple or complex. 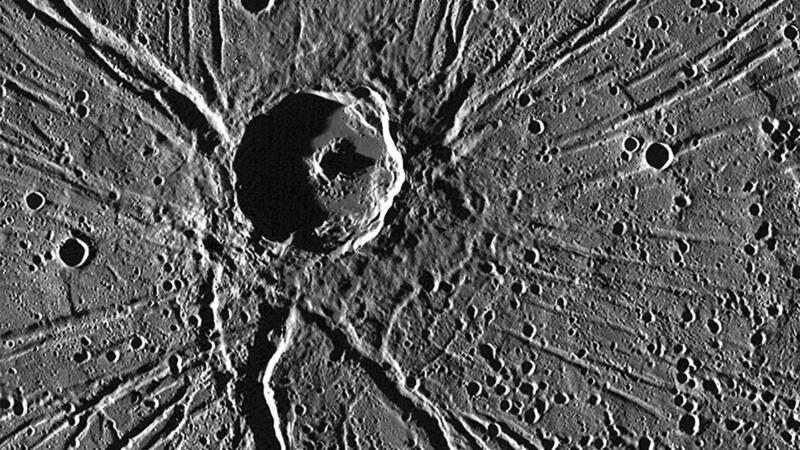 The complex patterns are associated with larger craters and the simple for smaller – the diameter of the transition to complex varies with planetary size and morphology. Distinguishing features of complex craters include central uplift hills and rings, and concentric collapse zones. 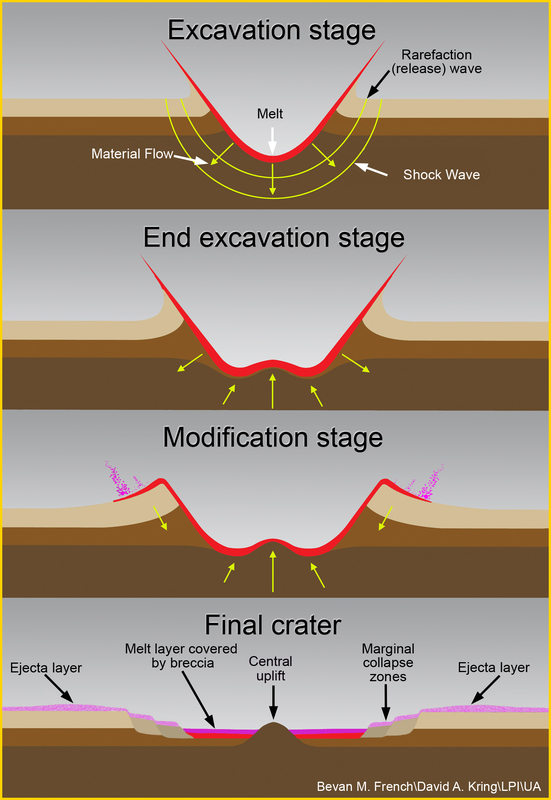 The diagrams below describe the impact crater formation for both simple and complex. Images Credit: David A. Kring, NASA Univ. of Arizona Space Imagery Center, 2006. 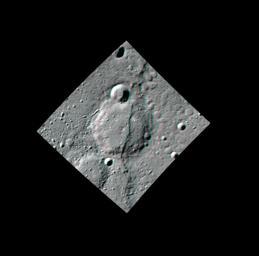 There is much debate about the formation of these features in impact craters. What geologists know about them has primarily been learned by examining ancient craters here on Earth, where eons of erosion and geological transformations have confused the evidence. The most studied crater is the simple structured, mile wide Barrington crater in Northern Arizona, which is believed to arrive a mere fifty thousand years ago. 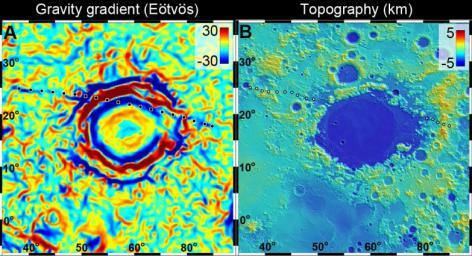 The reigning theory for complex craters suggests liquefaction in the shock region is responsible for the formation of the central peak and other features. In simple terms, the ground deforms like it was made of pudding. The impacted ground deforms to the impact plastically at first, until pressures force it into a liquid flow which results in the rebounding central peak and assists in the slumping and collapse of concentric rings. One distinguishing feature of a true impact crater is best seen in the bottom frame of the ‘Formation of a simple crater’ diagram above. 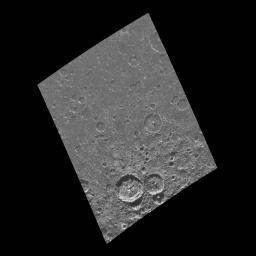 Below the crater bottom fill, called the Breccias lens, is fractured substrate. This is due to impact. Electrical discharge cleanly removes material from a crater without compressing and fracturing the substrate. So evidence of a discharge crater may require cores to be drilled below the crater to make that case, which has not been done anywhere except on Earth. 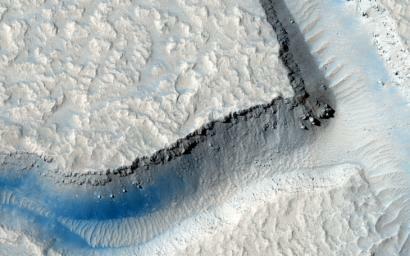 The Barrington crater shows such substrate disturbance. It also shows other compelling evidence of impact – the remnants of the meteor that created it, the iron pieces of which have been picked up for years from the debris field around the hole. Spark machining experiments show the same features – central peaks, central rings, raised rim and others, naturally formed from electrical discharge. Therefore, telling the difference is difficult. There are features that are more easily explained by discharge than impact however. For instance, many are hexagonal and some take other polygonal shapes. This is seen throughout the solar system. Hexagons appear in craters of all size, both simple and complex. The phenomena have not been demonstrated in a test impact that I could find. The favored theory seems to be these shapes are the response of pre-existing lines of faults to the impact. 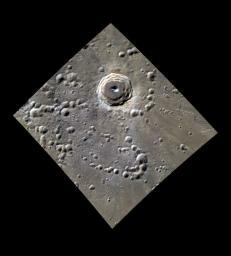 Again, Barrington crater is the model, since it has a distinctly square shape. Geological studies of the crater bear out the shape to be aligned with natural faults, supporting this idea.Another theory proposes it is caused in the right circumstances by resonant interaction of reflected shock waves. But hexagons? I would expect natural faults to be in random alignments. Perhaps the shock wave resonance is a better theory for impacts to so often produce a hexagon. Electrical discharge however has been demonstrated to produce hexagonal craters naturally due to the tornadic motion of twin Birkeland currents excavating the hole. There are several other features to examine that are also more easily explained by electrical discharge than impact. Lets look at crater formation from the EU perspective. The plasma discharge, in paired Birkeland currents will swirl about etching the crater to a more or less level bottom and pushing debris up to form a typically sharp edged, or pinched rim. The crater bottom is left molten and solidifies to a more or less flat, or bowled bottom. 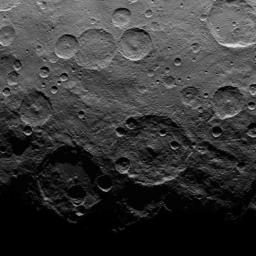 The twisting currents and their forking, snapping ends produce the hexagonal rims and sometimes carves terraces on the crater ring. As the charge weakens, the last tendril snaps away, often leaving a small pile of debris in the center – the central peak, or central ring. Because lightning sticks when it makes a connection, it doesn’t always snap away clean, but sometimes wanders and re-connects. This causes characteristic features like rim craters, twin craters, crater tracks, and rilles. The region of large craters is often a field of smaller simple craters, many having a wide domed central peak, looking like a round cinder cone inside the crater. Mainstream theory doesn’t say much about these. 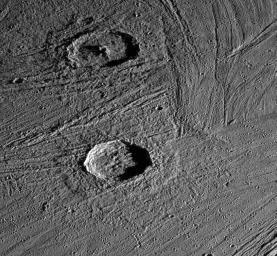 Current also surges through the ground, furrowing dendrite patterned crazing and in or around the crater and in the erosions at the crater lip. 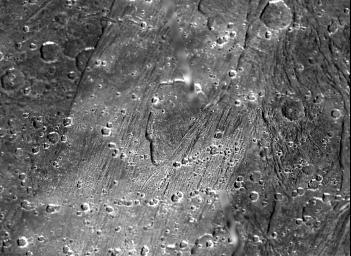 These can appear very much like water erosion, but that is an explanation hard to prove on a place like the Moon or Mercury. Rilles are a feature of endless concern from a traditional geologic perspective. In different cases, they are attributed to collapsed lava tubes, sub-glacial melt zones, or particularly on Mars, past water-flows. In spite of the differing explanations from planet to moon where they are found, they all look the same. 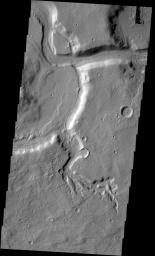 Rilles appear to be scooped from the ground with no evidence of collapsed lava tube debris, or lava bed; no water inflow channels, or outflow deltas. They are found often radiating away from craters, in crater floors and near other features thought to be electrical discharge features. Twin craters are another difficult to explain phenomena. Split perfectly by an organized section of rim with no evidence of one covering the other with debris, they appear to be a certain indicator of electric discharge. However this is also the expected result of a doublet asteroid or comet. Expected in impact theory, not proven. We know from EU Theory itself, comet-like bodies often come in twos, or are dipole shaped. The doublet impact theory for twins seems improbable given the number of organized examples seen all over the solar system. But again, if impact theory of a pudding-like impact zone responding to refracting shock waves is correct, it could produce some strange effects. There are other types of craters not easily explained by impact or volcanism, such as Platform and Rampart craters. Platforms rise above the surrounding land and Ramparts have a moat like low area ‘etched’ around them. For more information on the EU Theory of crater formations, see: The Craters Are Electric, published on Thunderblogs on 12/07/2007, by Michael Goodspeed. No doubt, many features we see in the solar system are impact craters, lava flows, volcanoes, and perhaps on Mars, some water erosion. No doubt, proper use of Occams Razor would lead to the consideration of features caused by electrical discharge since they more comprehensively explain the anomalies. It may be planetary scientists will be the first mainstream scientists to recognize the validity of Electric Universe Theory. They have to. It’s become a real problem. The explanations are different, but the craters still look the same. The comet-like tails trailing planets like Pluto. The lopsided crusts of planets where anodic scrubbing of one hemisphere is cathodically deposited on the other. 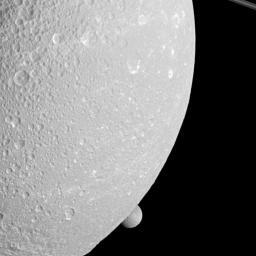 The electrical discharges seen from Saturn’s moons as they skirt the great ring. The energized explosions of comets lit by the sun outside the orbit of Jupiter. The weather of Jupiter, Venus, Saturn, and Earth. The really scary thing – it’s in these photos of planet wide scars. There is no question our solar system experienced an electrical maelstrom. It looks like it happened many times. When two electrically charged bodies come close, with different potentials, an arc takes place. This shouldn’t come as a surprise. If a wet ball of air can generate enough charge to zap the ground the way storm clouds do on earth, think what a planet spinning in the solar wind can do. And that brings us to the issue of most immediate importance. The sun. The sun blows this energy all around us, the earth’s magnetic field shields us from its blast. Now, the sun is heading into a quiet period that will chill our planet. But it is also an unstable cycle. Low solar activity does not mean large CME’s won’t happen. The Carrington event occurred during a lull in solar activity. Life as we know it is more at risk from a CME than we want to acknowledge. Our magnetic field is weakening. It is ready to flip. The earth’s magnetic field is our protection. It may not withstand a heavy blow from the Sun. We don’t even know how big the Sun can blow. We haven’t been watching that long. And our power grid is like a catcher’s mitt for a CME. A big one can happen any time – we are overdue. When it does, we are likely to revisit the Bronze Age for a while. Maybe there will be jobs shaping rocks to warn future generations to pay attention. We have watched new, violent storms brew on the gas giants. 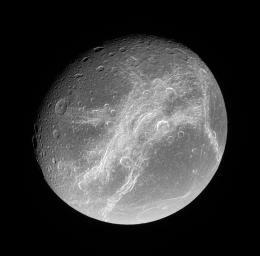 We see the plumes and electric fires respond on their moons. Yet it is not understood by the mainstream. As we learn more about the influence of electricity in our solar system, we also learn more about the connectivity between the earth and sun. As the sun’s discharge waxes and wanes, so too the response from the Earth. That response is electrical, and it flows through the crust and core of the Earth. Watch as more findings confirm the Sun drives not just the Earth’s climate, but its storms, its earthquakes and volcanoes, too. It would be better, wiser and intellectually honest if our planet and earth scientists would get on with understanding all of this. They have a responsibility. We need to focus our resources on protecting ourselves from things that will someday happen with catastrophic results. It isn’t controversial that it will happen. It’s a certainty – just as sure as there will be very ugly earthquakes in the Pacific Northwest and California some day – a mega-quake is overdue. Just as sure as hurricanes will flood the low lands of the Atlantic and Gulf coasts time-and-again, we will have CME’s. It could happen tomorrow. It is time we prepare. Most sightings have an explanation, but do you know what it is? UFO sightings are intriguing. People see something. It may be a blimp, or a balloon – perfectly normal in our world, but uncommon – and at great distance, easily misidentified. But many witnesses know they see something out of the ordinary, some thing that is not of this world. Are there explanations for any of these? Yes. And you know what some of these are. So let’s start with the obvious, and count down to the bizarre. 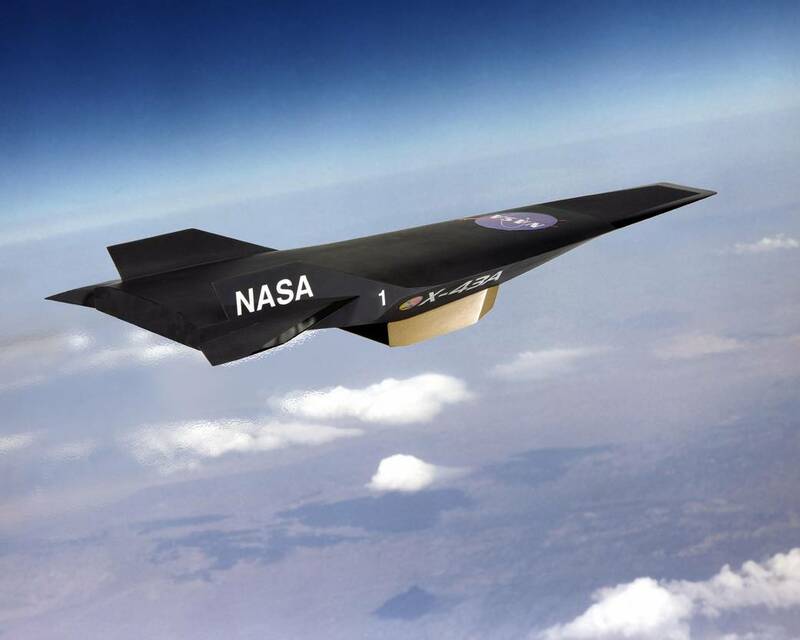 The triangle has been a common silhouette for stealth aircraft for decades now – the F-117 Fighter, the B-2 Stealth Bomber and various X-Planes, including the Aurora Hypersonic X-43B and the Boeing X-48B UAV. Rumors of other secret triangular craft such as the TR3-B abound. Mystery surrounds some of these aircraft, but they are not extraterrestrial. They are airplanes with a lifting body, or blended wing design favored for low visibility and economy. They may look exotic and alien, but they’re the result of human engineering. There is no reason to assign extraterrestrial origins to something we already fly in the sky. Watch this Lockheed Martin video on state-of-the-art aircraft design. What is possible today may surprise you. Balloons, blimps and toy drones; lenticular clouds, Venus and Sun dogs. Your heart skips a beat. You know it’s not a plane – lights in the sky slowly moving in the distance. But then perspective changes, and you see a blimp’s full banner of lights advertising car insurance. The wave of adrenaline leaves you sweaty, and a little disappointed. Catch sight of a transparent, high altitude weather balloon at dusk when the Sun still illuminates it, and it glows and shimmers with rainbow colors. Toy drones are capable of flying to thousands of feet, performing acrobatics with flashing LED lights. Venus can be brighter in certain phases, or in conjunction with another planet, appear as an oval shape. The sun reflects, refracts, and is shadowed by clouds, creating unusual sights. And lenticular clouds can take a smooth, saucer shape in speeding winds. These are some explanations you have probably seen at some time. It catches your breath for a moment, until you recognize what it is. Plasma – a misunderstood matter. When someone claims to see a UFO, they are generally dismissed for having seen a balloon, blimp, airplane, or cloud. They are often ridiculed for wishful thinking – the desire to see a UFO blinds the witness from the obvious. But many people know when they see something truly odd – and are often reluctant to talk about it. They aren’t pushing alien theories. What many people see are atmospheric plasma phenomena. 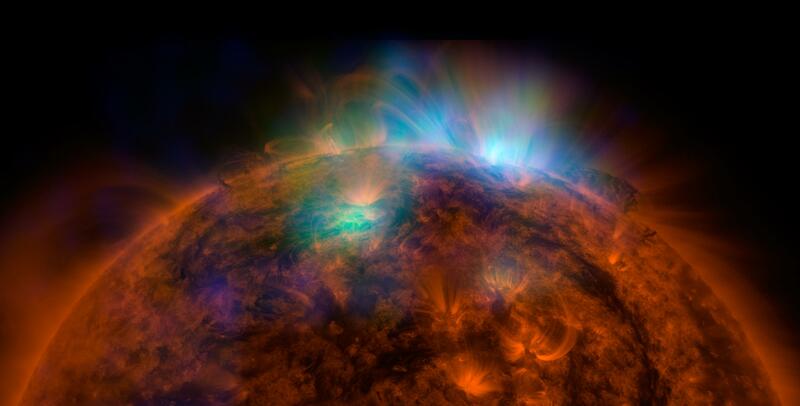 Science still has trouble recognizing and explaining it, but plasma is all around us. More than 99% of matter in the universe is plasma. Auroras, Sprites and Elves – oh my – true alien invaders. Dramatic high-energy plasma displays above the atmosphere are created by an alien invader – electricity from space. Electrical discharges from the sun create the solar wind, which sweeps the solar system with charged particles. Earth magnetic field deflects the flow of charge and funnels it to the poles. There, the energy encounters the ionosphere and lights it like a neon sign, creating the beautiful Auroras. Plasma also discharges above the clouds, creating fantastic shapes of bright neon color. 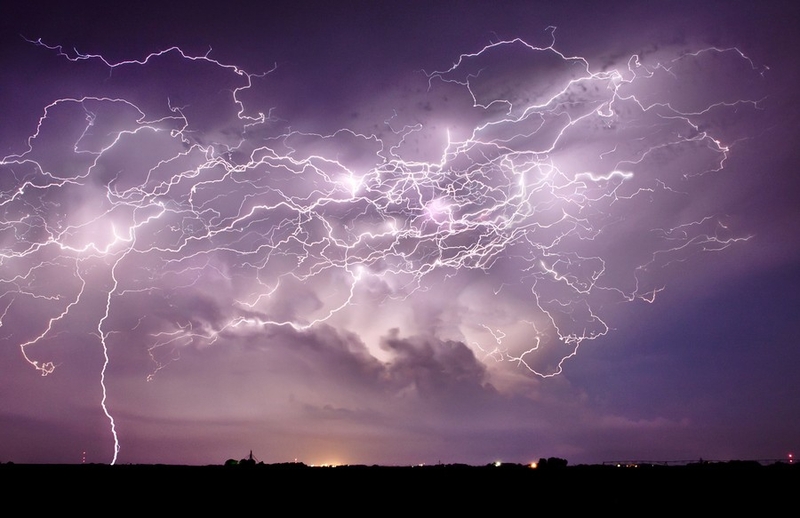 Close to ground, an electrical discharge must ‘squeeze’ a tortuous path through the atmosphere, creating the thin, jagged currents we see as lightning. 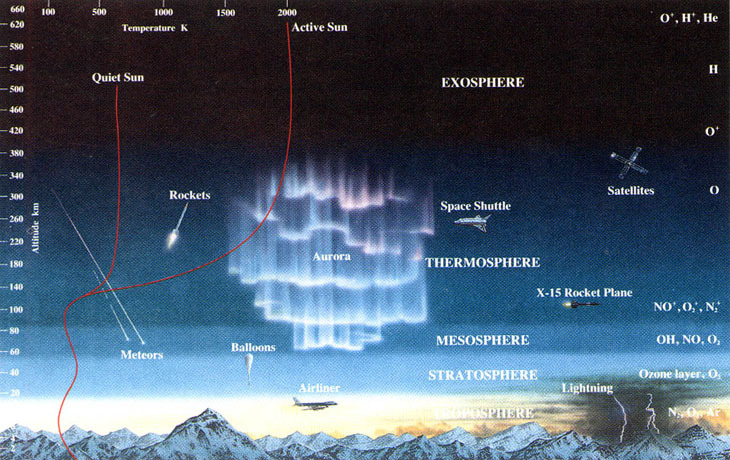 Electric current between clouds and space travels the ionosphere, forming a diffuse neon flash that more closely resembles the Northern Lights. They come in a variety of forms scientists have dubbed blue jets, sprites and elves. This brief NASA video explains more. 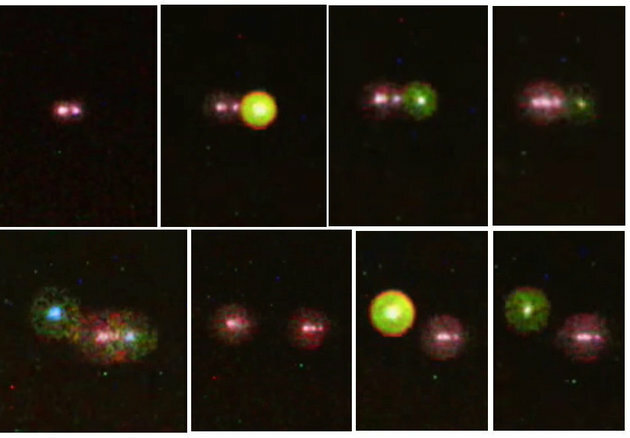 Mysterious spheres and orbs – another plasma phenomenon. They are called “Plasma Magnetic Entity”, or “Plasmoids.” In simple terms, a plasmoid is electric current balled into a doughnut – a toroid of ionized particles whose electric field is bound inside it’s own magnetic field. 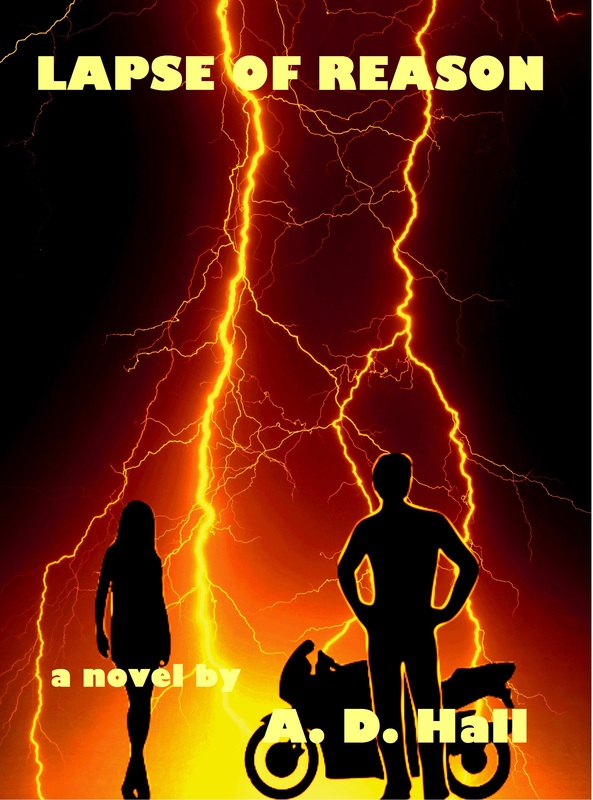 The most common form known is ball lightning. Plasmoids can be produced in the laboratory. Physicist Antonio Pavão and doctoral student Gerson Paiva of the Federal University of Pernambuco, Brazil created orbs the size of golf balls by vaporizing silica wafers with electricity. They mimic natural ball lightning. Plasmoids in nature are not easy to investigate. They are rare and ephemeral. Man-made plasmoids are produced in particle accelerators, arc-welding operations and even microwave ovens. Formed in the lab, they last only seconds, whereas in nature they can last much longer. They are the result of very high-energy events in nature that science is still investigating. Terrestrial plasmoids are seen near volcanoes and earthquake faults. Seismic stresses generate water vapor and ionized gases. Electricity charges the earth from the piezoelectric effect of crystalline minerals deforming under stress. 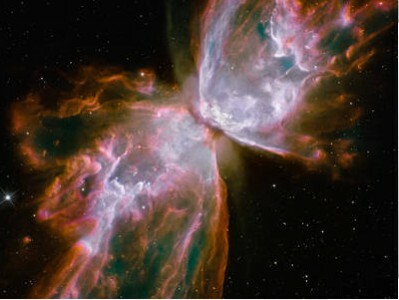 A cloud of ionized gas forms a plasmoid. They often appear as white or silvery spheres that float through the air, as if intelligently controlled. They can be mistaken for an escaped helium balloon, but their motion will give them away, often flying away or changing direction at speeds faster than a balloon in the wind could possibly do. 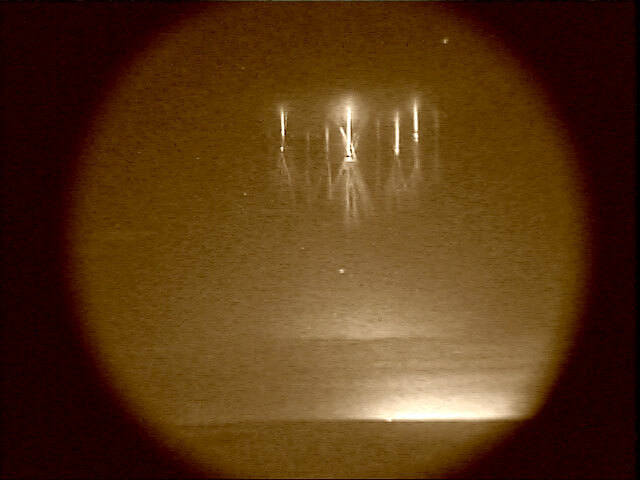 At distance the orbs appear solid, but closer observation reveals internal structure as the electric currents inside are seen to spark and glow. Light emission, Synchrotrons and x-rays. Plasmoids are thought to be created when high energy current meets sudden resistance, as when solar winds hit the atmosphere. Like a rock hitting water, a bubble forms as it dives beneath the surface. A plasmoid is a bubble of plasma held together by magnetic fields instead of surface tension. Unlike the terrestrial plasmoids created by seismic events, atmospheric plasmoids are higher energy events. They are commonly seen during thunderstorms, or due to incoming solar winds. They more commonly appear near the poles, in the arctic latitudes of Alaska, Canada, Norway and Siberia in the north; Argentina, Chile and Brazil in the south. But they can be seen anywhere. A distinguishing feature is the powerfully bright light they emit, often pulsing and changing color. The light is an effect called synchrotron radiation. Synchrotron emissions are generated by charged particles and electrons circulating within magnetic fields at close to the speed of light. As angular momentum changes they emit photons. The radiation is focused in the direction of the motion of the particle, creating polarized beams of light. This may explain why many UFO witnesses claim they were caught in a “beam of light” from the “craft.” The light emitted may be bright visible light, but they also produce damaging ultraviolet and x-rays. 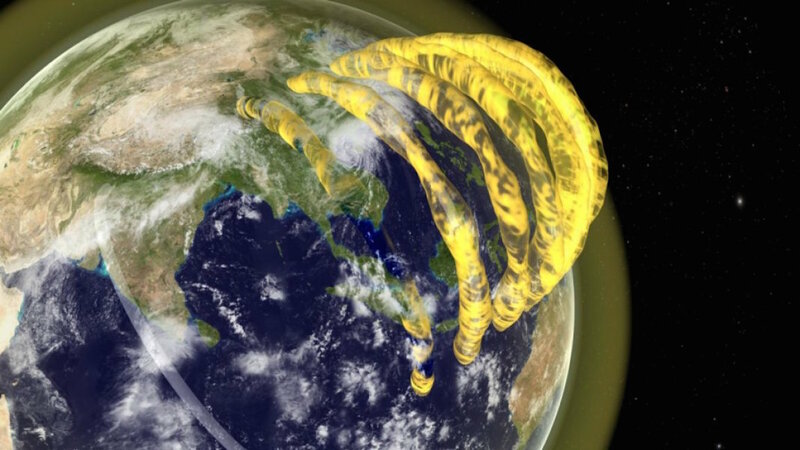 NASA image of Plasma Tubes around Earth’s equator. Electromagnetic effects can push, pull and move things around. Its force is 39 orders of magnitude greater than gravity. Two, or more plasmoids will interact with each other. They will form formations of geometric patterns, squares, triangles, or line-up in a row. They may follow each other, spacing themselves equidistantly, flying in formation. They may look solid or ephemeral, vanish and reappear, or zoom away at unbelievable speeds. Watch these incredible videos of plasmoid events. They are being seen by thousands of people around the world. They may be dragons or other shapes. Plasma discharges into Earth’s atmosphere don’t necessarily form a neat bubble. Heavy discharges will generate bright meteor like objects that eject streams of dripping plasma. They are obviously not meteors, because they don’t fly straight. They meander across the sky, or form glowing geometric shapes. Look at these astonishing examples, some of which were seen by multiple witnesses who filmed the event from a variety of perspectives. We do not know the limit to the power of cosmic lightning. Watch this video – its no ordinary lightning. They may be bolts direct from space, with no cloud to intercept and modify the discharge – cosmic thunderbolts. 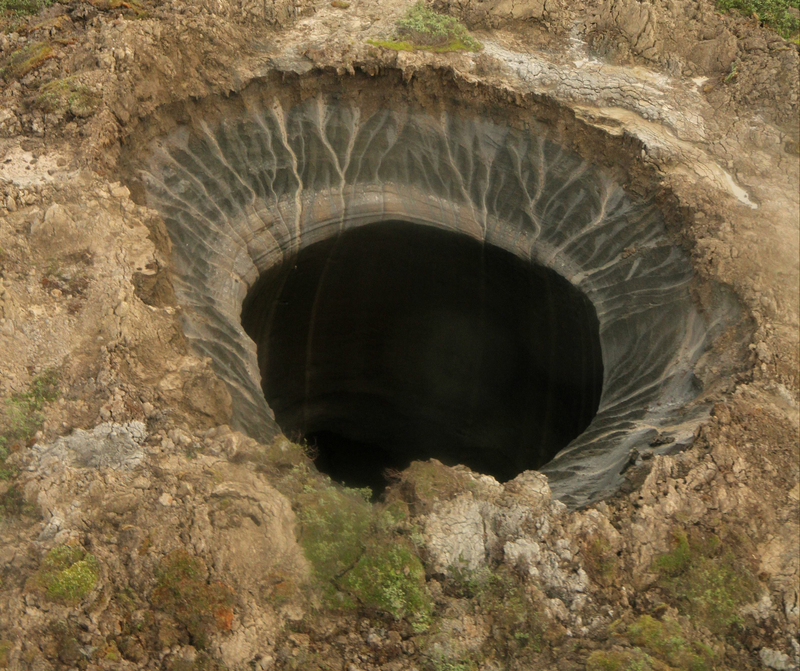 Perhaps this is the consequence of those flashes – Siberian Craters. I call them “WTF Holes.” They never found the big plug of dirt – or whatever was in there. Some are over 100 meters deep. This one is 60 meters across. Like the others recently discovered on or near the Yamal Peninsula in northern Siberia, it rapidly filled with water so no one has seen the bottom, but they say it’s at least 200 feet deep. Residents in the area claimed to see a cloud of smoke and a streak of bright light in the sky before this hole appeared. Scientists are blaming Global Warming – of course. They say permafrost melted, releasing frozen methane bubbles that burst, possibly igniting at some point in the process. That could only happen once the gas reached air and a source of ignition. There is gas in the region. There are more drilling rigs than reindeer in Siberia. And there are plenty of circular holes in the ground. It’s natural in permafrost for ice lenses to form below ground in a formation called a pingo, and then collapse, leaving thousands of round pools. But they aren’t 200 feet deep with vertical sides and crater rims. It looks more like a giant fulgurite caused by a cosmic thunderbolt. Lightning creates temperatures that exceed the surface of the sun. Lightning would find easy conductance in frozen permafrost and vaporize surrounding ice explosively. They’ve found six more. Some of them are shown in this video. See my latest post “The Shape of the Universe” on this Gamma Ray Burst feature found by astronomers that casts a big questions on Big Bang Cosmology, at Thunderbolts.info.